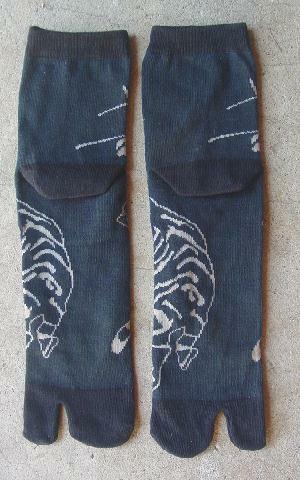 These never-worn stretchable socks can be worn with flip-flops (also known as thongs). There is a division between the big toe and the other four toes, which makes them perfect to wear with your flip-flop sandals. 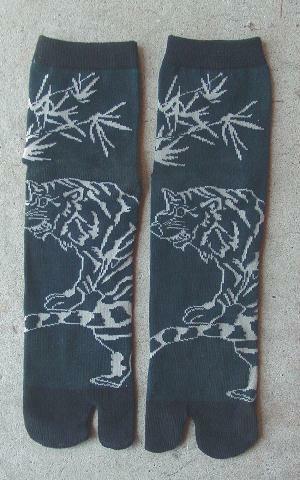 They're in a very dark green with a tiger and bamboo outlined in dark sand with a touch of beige. The 3/4" wide top ribbing and toe area is in black. They're a cotton, polyester, and polyamide blend. So if you like wearing your flip-flops in cooler weather but haven't because your feet get cold, you can wear these socks with them. 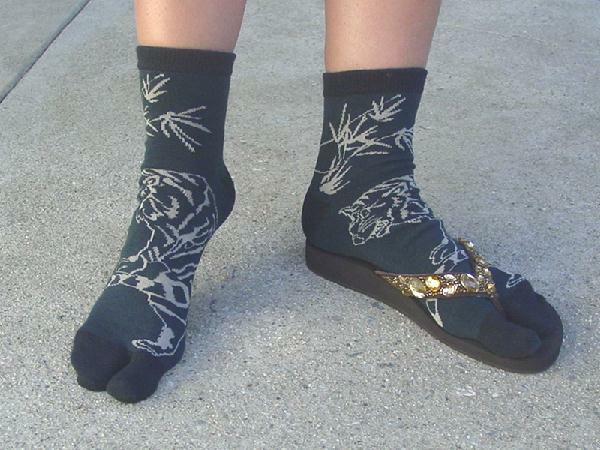 Also, if the center strap of the flip-flop (thong) rubs between your toes, the socks should take care of the problem. It's best to handwash them in cold water. If machine washed in cold water, the colors will fade a little. The socks can be stretched and if the sock size is too big, the sock heel will be in the wrong place.